Having fair credit doesn’t mean you have to settle for a credit card with high fees and few perks. There are numerous credit cards you may qualify for with fair credit that have rewards, no annual fee, no foreign transaction fee and more. Typically, if you have fair credit you don’t have the best credit history for various reasons that may include overspending, missing payments or carrying a balance month to month. But, if you open one of the credit cards mentioned below and practice responsible credit behavior such as paying each bill on time and in full while limiting spending, you can see your credit score improve over time. Then, you’ll be on your way to qualify for credit cards for good and excellent credit. Not sure what your credit score is? MagnifyMoney, another subsidiary LendingTree website, has a handy list of places where you can get a free credit score. The credit cards we mention below are ideal for people with fair or average credit and offer benefits if you want to earn rewards, travel abroad without incurring a fee on each purchase, simplify business spending and more. We also discuss the five factors making up your credit score and how you can use them to improve your credit. 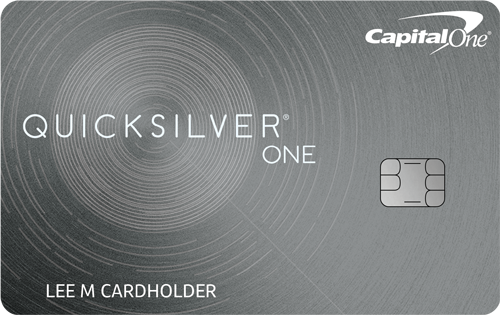 What we like: The Capital One® QuicksilverOne® Cash Rewards Credit Card is a decent cashback card for people with average/fair/limited credit. You can earn 1.5% cash back on every purchase, every day. While some cards today offer up to 2% flat cash back, you may have trouble finding a card that offers any rewards for average/fair/limited credit. In that case, this card’s cashback rate isn’t shabby. If you are approved for a low initial credit limit, Capital One gives you a way to qualify for a higher limit down the road — if you make your first five monthly payments on time, Capital One will increase your line of credit. This is a great incentive to practice responsible credit behavior that can improve your credit score and also increase your credit limit. Other perks of this card include Platinum Mastercard benefits such as auto rental and travel accident insurance, 24/7 travel and roadside assistance, price protection and more. There is also no foreign transaction fee, making this card ideal if you travel abroad. What to watch out for: Unlike other cards on this list, the Capital One® QuicksilverOne® Cash Rewards Credit Card comes with a $39 annual fee. You would need to spend about $2,600 a year to recoup the annual fee in cash back — which, for most people, should be achievable. You should also beware of the high 26.96% (Variable) APR. Most cards for people with average/fair/limited credit have high APRs, so this isn’t much of a deal breaker. Since the APR for this card is 26.96% (Variable), try not to overspend and make it a point to pay on time and in full each month so you don’t accrue interest. 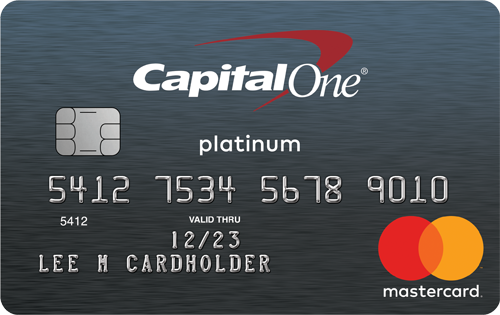 What we like: The Capital One® Platinum Credit Card is a basic $0 annual fee card for people with average/fair/limited credit. You won’t earn any rewards with this card, but that can be a good thing if you think you may be tempted to overspend just to earn rewards. This card has no foreign transaction fee, making it ideal for travel outside the U.S. You can save on the typical 3% fee many cards charge per purchase abroad. You can receive a higher credit line after you make your first five monthly payments on time — helpful if you initially receive a low credit limit but want a higher one. This card also offers auto rental and travel accident insurance, 24/7 travel and roadside assistances, price protection and other Platinum Mastercard benefits. What to watch out for: The APR for this card is high at 26.96% (Variable). Though it’s key to note most cards for average/fair/limited credit have high APRs. To avoid high interest charges, make sure you pay each bill on time and in full. Alternative option: The previously mentioned Capital One® QuicksilverOne® Cash Rewards Credit Card is also a good option for traveling abroad since it doesn’t charge a foreign transaction fee and allows you to earn 1.5% cash back on every purchase, every day. What we like: The Discover it® Student Cash Back is our top pick for students with fair. This card has a $0 annual fee and robust cashback program. Earn 5% cash back at different places each quarter like gas stations, grocery stores, restaurants, Amazon.com and more up to the quarterly maximum each time you activate, 1% unlimited cash back on all other purchases - automatically. Plus, for new cardmembers Discover will automatically match all the cash back you earn at the end of your first year. And, there’s a great incentive for students to achieve good grades — maintain a 3.0 or higher GPA and you can receive a $20 statement credit each school year (valid for up to five consecutive years). This card actually offers an APR range unlike some of the other cards mentioned on this list at 15.24% - 24.24% Variable APR. While the APR you receive depends on your creditworthiness, the potential for a lower APR gives the Discover it® Student Cash Back a leg up compared with other cards that lack an APR range. Additional perks include no penalty APR, no fee on your first late payment and no foreign transaction fee. Use the late fee waiver as a reminder to pay on time or set up autopay. What to watch out for: The cashback program is great, but just beware you need to activate the 5% bonus categories each quarter. There is no automatic activation feature available, but Discover does allow you to opt in for email alerts, and you can always set a reminder on your personal calendar. 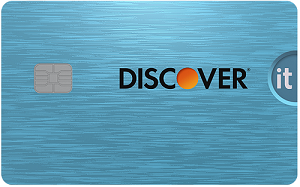 What we like: The Discover it® Secured has a $0 annual fee and provides you with the basis to build credit. Secured cards are similar to traditional, “unsecured” cards but they require a minimum security deposit. For the Discover it® Secured, the deposit is at least $200. This is a typical deposit and can be returned to you if you pay your balance in full and close your account, or Discover transitions you to an unsecured card. Discover takes the guesswork out of wondering when you’re ready for an unsecured card by conducting monthly account reviews starting at eight months from account opening. During these reviews, Discover will see if you qualify to receive your security deposit back while still benefiting from your card benefits. 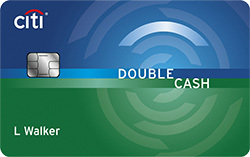 A unique feature of this card is the cashback program where you can earn 2% cash back at gas stations and restaurants on up to $1,000 in combined purchases every quarter, automatically. 1% unlimited cash back on all other purchases. Most secured cards lack rewards, so this is a fantastic perk. And, for new cardmembers Discover will automatically match all the cash back you earn at the end of your first year. In addition to the ability to build credit and earn cash back, this card has no penalty APR, no fee on your first late payment and no foreign transaction fee. 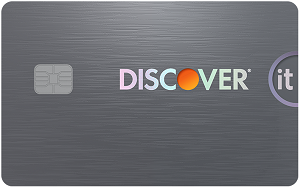 What to watch out for: Overall, the Discover it® Secured is a well-rounded card that doesn’t have any major setbacks besides a 25.24% Variable APR. But as mentioned earlier, high APRs are standard for cards designed for people with poor/new . As long as you pay each bill on time and in full, the 25.24% Variable APR shouldn’t be an issue. 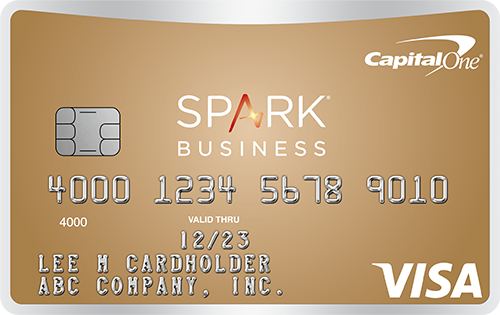 What we like: The Capital One® Spark® Classic for Business is one of few small business cards for business owners with average/fair/limited credit. Most small business cards require good or excellent credit, so this card is a nice find. There is also a $0 annual fee and you can open employee cards at no additional cost. This card allows you to earn 1% cash back on every purchase. While that’s subpar, considering there aren’t many cards available for business owners with average/fair/limited credit — it’s good enough. 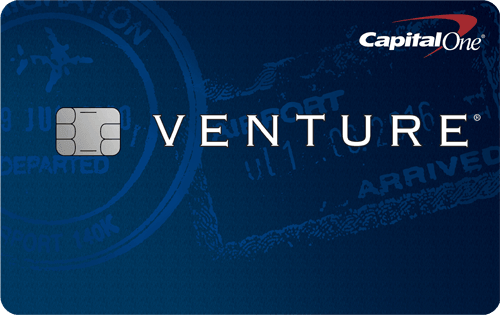 There is also no foreign transaction fee for this card, so you and your employees can use it when traveling outside the U.S. and avoid the typical 3% fee some other small business cards charge. Added features include quarterly and year-end summaries, the ability to download purchase records to accounting programs like Quicken®, QuickBooksTM or Excel®, auto rental collision damage waiver, and travel and emergency assistance. What to watch out for: There is a high 25.24% (Variable) APR — but this is typical of cards for average/fair/limited credit. Just remember to pay your bill on time and in full each month so you avoid interest charges. Setting up autopay can be a big help. Check out more cards for fair credit here. Amounts owed (aka. utilization) (30%): How much credit you use compared with your total credit limit across all accounts. Pay on time and in full each month. Since payment history is the most important factor of your credit score, it’s key to always pay your bill by the due date. And, it’s a good idea to pay it in full so you avoid carrying a balance month to month and racking up interest charges. Maintain a low utilization rate. Utilization is the amount of credit you use divided by the total amount of credit you have. So, if you have a credit limit of $1,000 on one card and a $5,000 credit limit on another card, your total amount of credit is $6,000. And if you use spend a total of $3,000 across both cards, your utilization would be 50% ($3,000 / $6,000). We recommend keeping a utilization below 30%. Don’t open too many credit products in a short time period. The average length of time your credit accounts have been opened is a factor of your credit score, and so is the number of new accounts you’ve inquired about or opened. Each time you apply and open a credit product, an inquiry is performed which temporarily dings your credit score. And, if you end up opening several accounts within a short period of time, your length of credit history will decrease. For example, if you have a credit card that’s 10 years old and you open a new card today, the average length of your credit decreases to five years. Then, if you open a personal loan tomorrow, it’ll drop to a little over three years. Evaluate the cost. Are you willing to pay an annual fee to earn rewards? Or would you rather have a no annual fee card? Also, if you’re someone who tends to carry a balance month to month, you should check out cards with reasonable APRs that can minimize the interest you accrue on unpaid balances. Decide if you want to earn rewards while you build credit. There are several cards for people with fair credit that allow you to earn rewards while building credit. Just beware that they may come with an annual fee. Also, your main goal should be to build credit, not earn rewards — but that doesn’t mean you have to forgo rewards. Consider a basic card if you have a history of overspending. If you tend to overspend, you may want to stick to a basic credit card that doesn’t offer rewards that may tempt you to spend more than you should. Travelers look for cards with no foreign transaction fee. If you travel often, it makes sense to open a credit card that does not charge a foreign transaction fee. The fee is typically 3% of each transaction you make outside the U.S. — so a card without this fee is key for travelers.